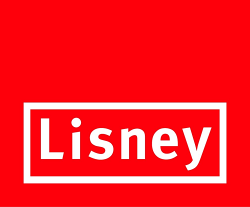 Estate agents Lisney recently published their 2012 review and 2013 outlook. They noted an increasing number of parcels of development land coming onto the market. This coincides with a rise in activity in city areas in 2012. Supply notably increased for both small infill sites and for larger, centrally located prime holdings. With values down by between 80% and 95%, cash buyers are driving the market according to the estate agents. In their outlook for 2013, Lisney say they expect more land to come onto the market this year from banks and receivers and an increase in sales activity with price stabilisation also a possibility. Meanwhile, after a good year for the industrial sector in 2012, Lisney are expecting similar trends to continue this year. They expect supply and vacancy rates to increase mainly due to banks and receivers placing additional stock on the market. Despite this they insist that sales transactions should continue to increase if properties are priced realistically. They insist though that the office market in Dublin was “disappointing” in 2012 but they do expect an increase in activity levels in 2013. They also insist that vacancy rates will continue to fall in all Dublin regions but warn that rents will rise in the city centre and in parts of the south suburbs.